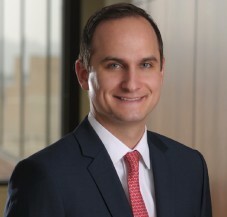 Scott T. Witthuhn is an Associate in Cummings & Lockwood's Commercial Real Estate Group and is based in the Stamford office. Scott’s practice covers a broad range of commercial real estate transactions, including acquisitions, dispositions and development of office, retail, hotel, industrial and multifamily assets. He has experience in portfolio transactions, joint ventures, equity investments, leasing and mortgage financings. Prior to joining Cummings & Lockwood, Scott was an Associate in the real estate group of the New York office of a large international law firm. Representation of a major institutional real estate firm in connection with the leasing and financing of several Stamford office complexes. Representation of the landlord in connection with a headquarters lease in excess of 400,000 rentable square feet. Representation of an institutional real estate firm in connection with the acquisition and associated mortgage financing of a significant office building in Norwalk, Connecticut. Representation of a private school in Connecticut in the acquisition of the former campus headquarters of a hedge fund. Representation of an institutional real estate firm in connection with various leasing, financing, and other development matters associated with Connecticut mixed-use projects. Representation of commercial office tenants in various leasing transactions throughout Fairfield County and New York City, ranging in size from under 10,000 rentable square feet to over 50,000 rentable square feet.